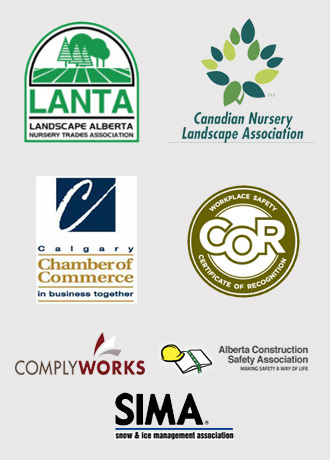 It’s been a beautiful, hot summer here in Calgary, which has been great for enjoying the outdoors, but also has a lot of people scrambling to keep their lawns and gardens green. Dragging around hoses is not that much fun on a good day, and it’s way less fun when there’s lots more you’d rather be doing. That’s why we’ve been getting a lot of inquiries about installing underground irrigations systems at homes and commercial properties around the city. Not only are they convenient, they are better for the environment and can save you a lot of money in the long run. We have been installing and maintaining underground irrigation systems in Calgary for three generations, and highly recommend them for both commercial and personal properties. Most of us are aware that the best time to water is early morning, but do you know why? In the morning the air is cooler, which means that less water will evaporate before it has a chance to seep into the soil. As well, there is usually less wind to blow the droplets around. The best times are from 4 to 10 a.m. If you miss your morning watering, don’t try to make it up by watering in the evening. The droplets will cling to the blades of grass throughout the evening and make your lawn a prime location for fungus growth. It’s also better to water less often but more deeply. Water should reach down to the bottom of the root system, which is usually about 6 inches. It’s hard to estimate exactly how long that will take, so what we’ll do is use a spade to dig down and lift up some sod (replacing it after, of course) to ensure the water has reached the ideal depth. Once we know how long it takes we can set your system accordingly. For clay-based soils like we have in Calgary watering once a week should be good enough, unless of course we have unusually hot weather like we have this summer. Watering too often can promote shallow roots, which are less healthy and resilient than deeper roots, so we try to find the best balance for your specific needs. The same is true for trees and shrubs. Too much water will simply run off the surface and into your gutters, which means you’re wasting time and money as well as water. Because of inefficient watering, utility bills in the Calgary area tend to increase substantially in the summer. Nobody wants to waste such a precious resource. A sprinkler system delivers less water more efficiently, meaning your property will look great for less time, effort and cash. Modern sprinkler systems are installed with sophisticated control units that can be programmed to deliver a set amount of water at a specific time in the ideal amount for the needs of your garden or lawn. Systems can be installed with a number of different zones that use different types of sprinklers to more effectively deliver water. A lawn pop-up sprinkler is lower than a garden sprinkler, as there isn’t need to have water delivered over top of plants and flowers. Garden sprinklers are higher in order to reach areas surrounding shrubs and perennials. Don’t forget to schedule an appointment with us to have us come and blow out your system to prepare it for a Calgary winter. Trapped water will freeze, expand and potentially crack your pipes, causing a leak that will require repairs. Winterizing will ensure your system lasts for several years without need of repair. Our family-owned company has been specializing in helping property owners throughout Calgary keep their homes and businesses looking great for low prices. For three generations, we’ve been delivering affordable services that exceed customer expectations. You can familiarize yourself with our work by browsing our online portfolio of successful past projects. 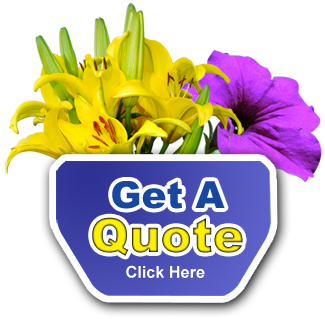 We are pleased to offer custom quotes that allow you to put together a uniquely designed service package, according to your specific needs. Simply use our online form, enter your information and project details, and one of our team members will perform an evaluation and get in touch with you to offer a low and affordable price quote. It’s fast and easy!